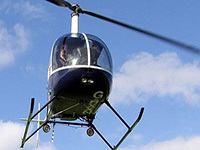 A 60 minute helicopter flying lesson with Hover Challenge! Includes: ca.30 minute briefing, 30 minute hands on flight and insurance. Voucher can be used at locations nationwide. 60 minutes, with 30 minutes in the air.